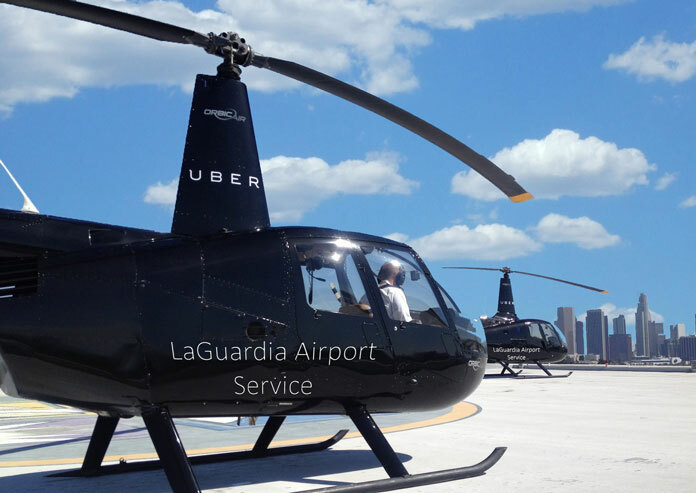 The trip to LaGuardia from Manhattan from is dreaded by many, as it is the closest airport to the City, with the least amount of choices of travel – Sometimes it seems like the ride out to the airport is longer and more arduous than the flight itself. What Method of Transportation ? In New York City, both LaGuardia Airport and JFK are located in Queens and logistical know-how often carries the day in getting to both of them. 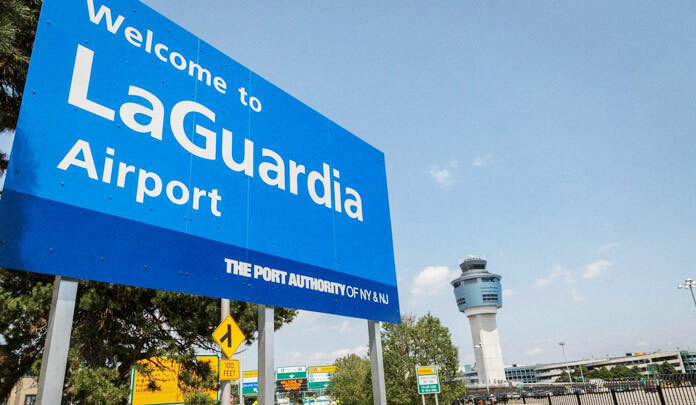 Located at 90-01 Grand Central Parkway in Astoria, Queens, LaGuardia Airport (LGA for short) is the 2nd largest airport in the New York area and primarily handles domestic flights in the US rather than general New York Flights. LaGuardia Airport is geographically the closest to Manhattan of the three NYC-area airports, but routes and methods for reaching LGA from Manhattan differ in cost, reliability, and comfort. To get to LaGuardia from Manhattan via car, take the Grand Central Parkway that stretches across Long Island abuts the LGA property. 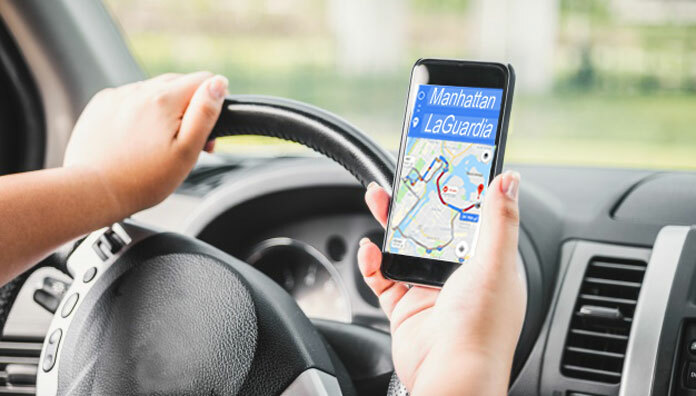 From Midtown you can shoot through the Midtown Tunnel, take the Long Island Expressway to the Grand Central Parkway going toward the Triboro Bridge, roll past Shea Stadium, and on a good day you’ll be at LaGuardia Airport in about 35 minutes. On a bad day traveling to LaGuardia from Manhattan, you might get stuck in Midtown Tunnel traffic, or on the Long Island Expressway near Queens Blvd. for about 15-20 minutes. Long-term parking is available at LaGuardia on a limited basis. If you don’t have your own a car, another alternative to get to LaGuardia from Manhattan might be a taxi, limo or express Bus. My yellow cab got me from 42nd Street & Vanderbilt to LaGuardia in just under 40 minutes, and the fare was $27, plus $4.50 for the Triboro Bridge toll, and a gratuity. A private limo is clearly the height of luxury, but the fares start at around $50. The New York Airport express bus from Grand Central or Port Authority Bus Terminal to LaGuardia runs between 7:20 AM and 11 PM, so red-eye travelers are out of luck. However, the fare is a moderate $12, and, again, depending on the time of day and the weather, it’ll take you about 45-60 minutes (after you’ve made it to Grand Central or the PA) to get to LaGuardia. There are shared-ride, on-demand van services like Super Shuttle, which will pick you up anywhere in Manhattan and get you out to LaGuardia Airport in about 45-50 minutes. The fare is usually around $15. Airlink provides the same service for $13. When I called for a blue Super Shuttle van, it arrived on time, traffic was light, but the van made a few pickups at hotels – which felt like a bus tour of New York – it took me 53 minutes to get to LaGuardia from a W. 45th Street starting point. Your best bet to LaGuardia from Manhattan is the subway/bus combo. With a little exercise, you can travel to LaGuardia from Manhattan for just $3. 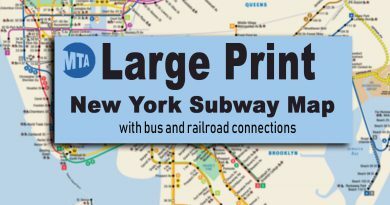 There are two basic ways to do this – the first is to get to any New York subway station where you can make a free transfer to the M60 LaGuardia bus – This bus runs across 125st in Manhattan and then into Queens and up to LaGuardia Airport – the most optimal subway stations to get this bus are Astoria Boulevard in Queens (N and W lines) or one of the three 125 Street stations in Manhattan that serve 4,5 and 6 lines, 2 and 3 lines or the A,B,C,D lines. 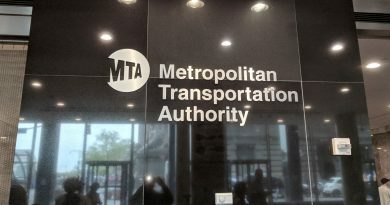 If you exit one of these stations you will find an M60 MTA bus that is both regular and reliable. 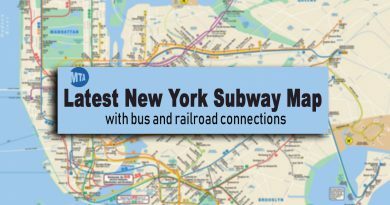 Many of our subway testers have found the Astoria Boulevard route is the best, but that assumes that the N and W lines are running properly. This method of getting to LaGuardia Airport will take about 45 minutes from midtown Manhattan, longer if you use one of the more westerly subway stations. If that section of New York is having problems (The 2006 power outage in Queens that lasted 5 days played havoc with the New York Subway system) a popular alternative is to take the 7 train out to 74th Street in Corona (it has escalators, and the E, F, G, R, and V trains also stop there), go downstairs, and ride the Q33 bus to LGA (also a free transfer with your MetroCard). It, too, takes about 20 minutes after your 15-minute ride on the 7 train. If it’s a weekday, remember to take a local 7 train, as express trains bypass 74th Street. Keep in mind, however, that if you’re going to the Marine Air Terminal, you need to take the Q47 bus from 74th Street, since the Q33 does not stop there. At night, the options available to those using public transit to reach LaGuardia Airport change a bit. On the West side, only the 2 train runs to 125th Street, and on the East side only the 4 and 6 trains go to 125th. The 7 train always runs to 74th Street, day or night. After midnight, the trains run every 20 minutes, and the buses to LaGuardia are almost an hour apart. If you’re catching a red-eye out of LGA, consult www.mta.info before you go. During the day, the buses and trains run about 8-10 minutes apart. Don’t forget to enjoy the spectacular views of Manhattan if you’re riding the 7 train, right after it emerges from Hunterspoint Avenue. All in all, using the bus/train combination to get to LaGuardia is usually relatively painless, except of course during the 7-10 AM and 4-8 PM rush hours, when crowds will make movement with luggage challenging. The most expensive ways to reach LaGuardia Airport are by limo or helicopter. They’re the fastest, but you will need money to burn. US Helicopter flies to LaGuardia Airport during the day on weekdays, from the East 34th Street, West 30th Street, or Downtown heliports, but you’re limited to one piece of luggage, less than 50 lbs., and one carry-on bag. You’will have to go through a security screening, then flying time is 8-10 minutes. Prices range from $159, according to US Helicopter’s web site. The weather, of course, also impacts the availability of helicopter service. Limos are, by comparison, available 24 hours a day. Towncar Limo, for example, charges $75 from Manhattan to LaGuardia Airport. Some limo services to LGA include the bridge or tunnel toll and gratuity, but this is not always the case. Unlike the yellow cabs, the fare to LaGuardia is not affected by traffic or weather conditions. The most luxurious route to LaGuardia Airport is via limo or taxi. You will enjoy the comfort of a private car, but you will pay for it, too. The subway/bus combination actually compared favorably with the yellow cab/limo as the quickest route to LGA, albeit only during the day, not after midnight. And the hard benches of the subway are hardly “luxurious”. The express buses to LaGuardia generally run to schedule, about every half hour, with comfortable seats, but loading delays at their starting points can extend your trip time. The most reliable way to reach LaGuardia Airport is by limo. There are quite a few services to choose from, all have 24-hour service, and their door-to-door convenience eases your trip. However, the least expensive method to LGA, the subway/bus combo, is also very reliable. There are several routes you can take to LaGuardia, and even at night, with a little planning, your trip should be smooth. If cost is a factor and you don’t have a lot of luggage, to get to LaGuardia From Manhattan, go with the subway/bus combo. The trains and buses are always there, and transferring is made easy by clear signage in the stations. If money is not an issue, take a cab or limo to LGA! They’re among the most expensive, but also among the fastest. The other options don’t have 24-hour service, or they can be cumbersome, but definitely more comfortable than the subway/bus option. There you have it – the comprehensive guide on ways to get to LaGuardia Airport. Have a great flight! There is a plan to build a new AirTrain To LaGuardia Airport that will be completed in 2022 and will cut down the commute time from Manhattan to LaGuardia Airport to less than 30 minutes. 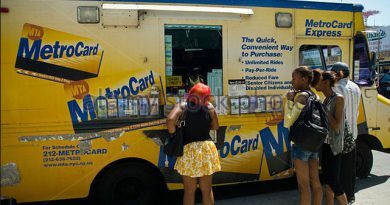 Where Can You Buy Metrocards? 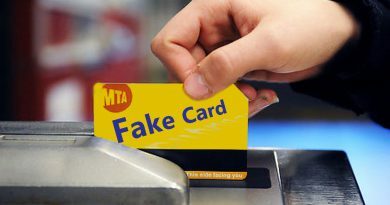 May 8, 2018 dnsdr Comments Off on Where Can You Buy Metrocards?